12 year old. 43% Proof. 20cl. This product is also available as a miniature. 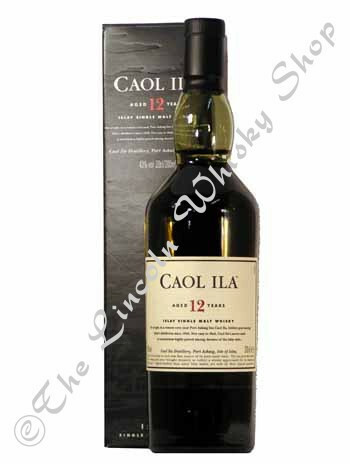 Caol Ila has recently been released as a single malt in its own right. The name is pronounced "Cull-eela", & means "the sound of Islay". Its colour is of a pale white wine & its body is light & firm. Mid range on the smokey scale of Islay whiskies, the palate presents peaty, peppery highlights.